An outpouring of sympathy and remembrances was expected to flow into the Czech Republic and Slovakia from far and wide to mark the 50th anniversary of the invasion of Czechoslovakia by Warsaw Pact troops to crush the Prague Spring uprising. Except from one place — Prague Castle. Czech President Milos Zeman, one of Russian President Vladimir Putin’s strongest allies within the European Union, will not deliver a speech or attend any commemorative events on August 21. The decision has highlighted one of the most contentious elements of the 73-year-old Zeman’s five-year tenure as head of state, including criticism of senior advisers’ apparent ties to Russia and his own repeated calls for a rollback of Western sanctions and improved relations with Russia. In his place for the occasion, Czech Television announced it would take the rare step of airing a speech by the president of neighboring Slovakia, Andrej Kiska. With tanks rolling through city streets, Czechs and Slovaks awoke on August 21 to a new reality. The number of invading troops eventually swelled to about half a million. Protests and clashes with the occupying forces left 137 dead and more than 500 injured. 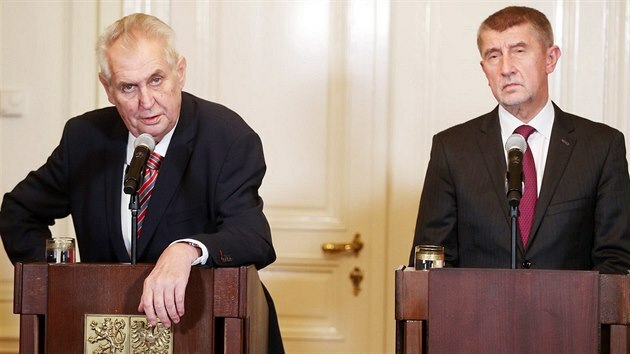 Zeman, who joined the Czechoslovak Communist Party in 1968 during the Prague Spring, was kicked out of the party two years later — reportedly over his criticism of the invasion and occupation. Jiri Ovcacek, the president’s spokesman, said that was a “courageous” statement that says more than enough, even 50 years later. “He was ousted from his job at the Economic University for this statement. Such a statement is more valuable than the thousands of purely formal and unfaithful speeches that will be certainly be delivered on August 21,” Ovcacek said in a tweet. But Jiri Pehe, a former adviser to President Vaclav Havel and a frequent Zeman critic, said he was stunned by the president’s decision. He said that what happened to Zeman was the same thing that happened to hundreds of thousands of other Czechs and Slovaks, while many others fled the country, never to see their families again. The 50th anniversary of the invasion, which despite considerable evidence to the contrary the Kremlin has steadfastly claimed followed a request by Czechoslovak politicians, comes at a time when the country’s relationship with Russia is divisive. Some fear Moscow still poses a strategic threat even though the Czechs are now part of the European Union and NATO. Others, Zeman among them, say relations should be improved. Critics point to Putin’s 2014 annexation of Crimea as evidence that five decades later, Moscow hasn’t changed its bullying ways. Some Czech politicians have sought to draw a clear line between the Soviet Union and modern Russia, but polls consistently show a “distinct preponderance of antipathy over sympathy” toward Russia among the Czech public. The anniversary also comes with the Czech Communist Party — the former Eastern Bloc’s only unreformed Communists — closer to regaining a seat at the government table than at any time since the fall of communism in November 1989. Last month the Communists agreed to prop up the minority coalition led by Prime Minister Andrej Babis, the country’s second-richest person, who could find few allies in parliament amid accusations he abused the system of EU subsidies. Some of Babis’s statements ahead of the anniversary have appeared to downplay Russians’ role in the 1968 intervention. “It doesn’t matter which nationality” was responsible for ordering the 1968 invasion, he said in response to remarks by a Czech Communist. Days later, amid public criticism, Babis described the invasion as “one of the greatest tragedies for Czechoslovakia.” But he then added in remarks that critics found overly dismissive, “We remember afterward, when they occupied us, when we played hockey, and of course Palach and everything” — rapid-fire references to emotional Czechoslovak ice-hockey victories over the Soviet team at the 1969 World Championships and Czech student Jan Palach, who became a symbol of defiance when he self-immolated in downtown Prague to protest the invasion. “We have Communists about to be in government, and a president who seems afraid to stand up against Russia on such an important day. What does this say about the state of our country?” asked Vera Donutilova, a 23-year-old student, as she stood outside Czech state radio, one of the focal points of resistance where more than a dozen people were killed by the troops 50 years ago. Outside a wreath-laying ceremony to honor victims of the invasion at Czech Radio headquarters in Prague on August 21, many in the crowd whistled and shouted down Babis when the Slovak-born prime minister, who has struggled to shed accusations that he collaborated with Soviet-era secret police, spoke. Both Czechs and Slovaks regard the Warsaw Pact invasion as the “darkest” time in their nearly 75-year union as Czechoslovakia, recent polling shows.